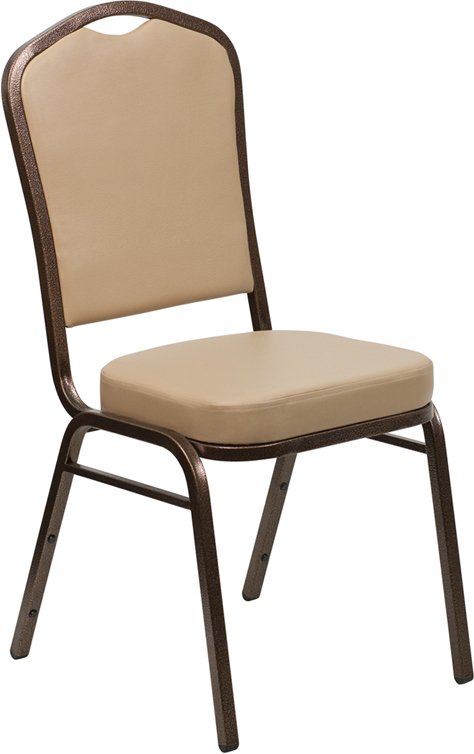 This beige vinyl stacking banquet chair features a textured copper-vein frame. The ultra comfortable 2.5" thick polyurethane foam padded seat will keep your guests comfortable, and not lose it's firmness like thinner seat chairs. Beige chairs will fit into almost any decor, from white &black, to red.